Band-Aid is a brand that has so permeated the market, it’s become the generic word people use to describe adhesive bandages. 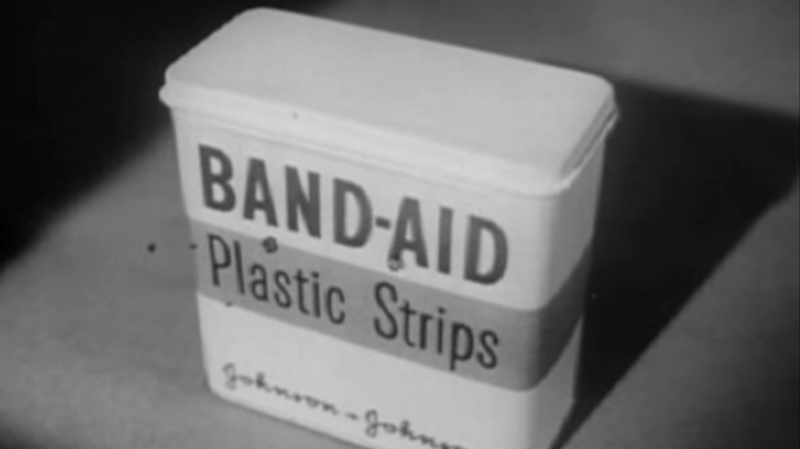 It wasn’t always this way though, and in the 1950s, Johnson & Johnson's creation was still on its way to becoming the product everyone uses today. Which meant explaining all its wonders to consumers in sometimes odd ways. In this commercial, Band-Aid’s new “super stick” feature is demonstrated with an unlikely subject: an egg. Regular old (implied: inferior) bandages don’t stick to a dry, room temperature egg when you drag them across the shell. As you might’ve guessed, Band-Aid brand does; you can even dip it in boiling water while it's affixed to the egg! If that doesn’t convince you to wrap your open wounds in the product, what will? If trippy visuals are more your speed, check out this other Band-Aid commercial from the era for “Charmers”—colorful and picture-filled bandages for kids.